Marcus Kross & Griff Garrison both have a job to do in the ring. With just over a year in professional wrestling, the pair of North Carolina 19-year-olds are quickly learning the ropes as they play two very different roles: Garrison roams the ring as a cocky rulebreaker, while Kross is a flashy fan favorite. Outside of the ring, the pair have a quite different relationship. Former classmates from as far back as North Davidson Middle School, they decided after graduation that they wanted to enter the business together. They started out with another factor on their side: Not only did they have each other to work with, they both had legitimate athletic backgrounds. Garrison was an All-County and All-Conference wide receiver for two years in high school. He played for one year in college, before jumping into the wrestling ring. Cross is a third degree black belt in taekwondo, having earned two national championships. He also wrestled in high school and was a two-time conference champion and North Carolina State Qualifier. They both began training with Firestar Pro Wrestling in Greensboro, and made their in-ring debuts in 2016. The pair were spotted by agent Bill Behrens, who immediately saw their potential. He put them in contact with promoters in the area, and now mentors the youngsters as they climb the rungs of wrestling’s ladder. Kross says that he was heavily influenced by Eddie Guerrero, and it shows a bit in his style and ring attire. 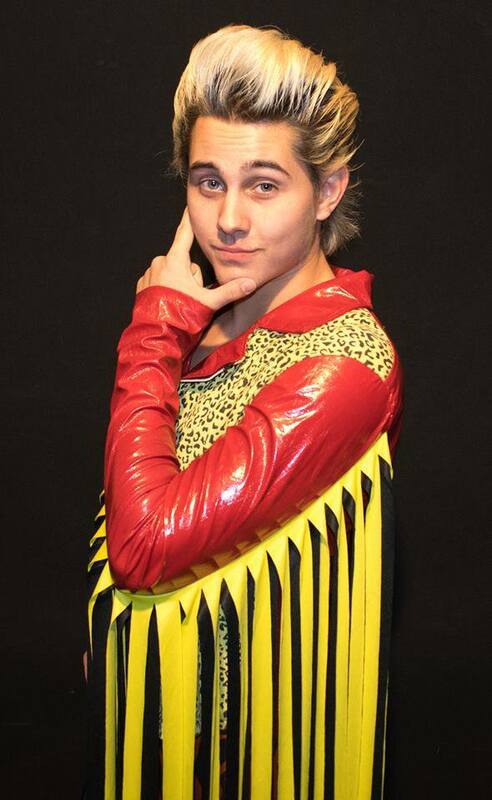 Often coming to the ring wearing tassels and with a shock of blonde hair, he immediately gets the audience’s attention with his flashy moves and his ability to gain empathy from the crowd. As he has developed the babyface gimmick, Cross noticeably works at selling his opponent’s offense, a veteran move that many youngsters don’t immediately grasp. His ring attributes also match his colorful attire, as Cross focuses on instant offense. “I do have the (amateur) background, so I do have the ground game. But, a lot of my offense is based on kicks and flips; that’s most of my moveset right now. Griff says that his work as heel in the ring is built around a heavy use of psychology. The two have essentially been able to hone those skills together, as they balance each other out in the ring. With an icy stare and a razor-sharp tongue, Garrison is more than happy to let the audience know just how much smarter, how much more clever, and generally how much better he is than them. Following the blueprint of past legends like Curt Hennig or Ric Flair, he comes off as a mix between an Ivy League snob and a towel-snapping jock. And, while he’s technically very sound in the ring and has good size (6’4″), perhaps his greatest strength in his young career is his ability to grab the audience’s attention with the microphone. Now a little over a year in the business, they continue to work not only with each other, but competing all over the south. 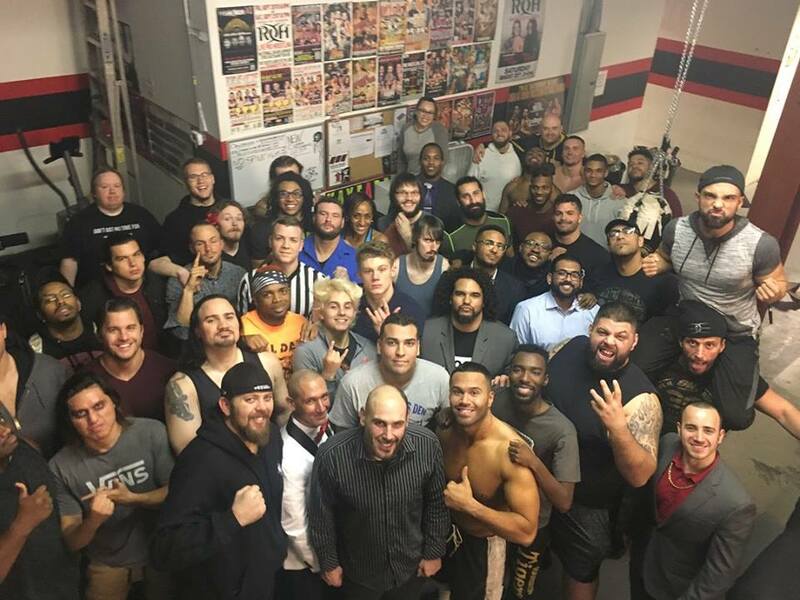 The duo also gained valuable experience, when they recently traveled to the Ring of Honor dojo to learn from the veterans there. These two in-ring enemies (and real-life friends) say that they know they’re just starting out, but they have a clear vision of their paths ahead. Garrison concurs, saying that he’s got a lot of things he wants to do before he tries to take any big leaps in the sport. Until then, the two will continue to travel together, while working shows, and honing their skills. And with that, their journey continues… Kross and Garrison will be appearing at Anarchy Wrestling‘s Christmas Chaos this weekend.